So, I told you about John Mayer starting this “Dashboard Confessions” Q & A session on Tumbr last night. Gave you all the info. well in advance. You had a considerable amount of time to ponder the “perfect” question. Did it keep you awake at night contemplating whether or not you should ask John Mayer a serious question or appeal to his more cheeky side & go with something witty or fun? Were hours spent mulling over the perfect thing to say? Did you nervously wait counting down the minutes until John Mayer himself might possibly answer your question? Only to see John reply to questions like: “Were you a good singer since you were a child?” , “Do you prefer your hair long or short?” & “Did guitar playing come naturally or did you struggle?” Then to add insult to injury he answers 2 questions by the same person more than once! Ok, so maybe your anticipation (or mine) is a little bit exaggerated above, but you get the point. Morgan & I were so curious as to how this was going to play out. I figured JM would take some serious questions & some more lighthearted ones which he did & even used his glib talents to make a few funnies here & there. This is great! 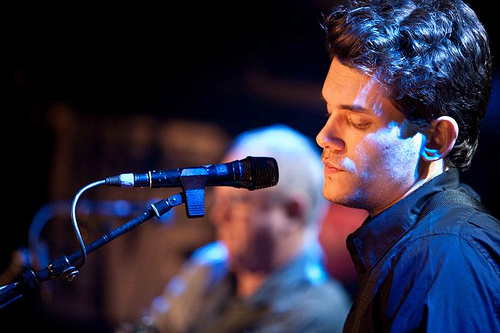 We love this John Mayer! We accept & treasure him any way we can get him whether it be formal or fresh, but we only had one hour & I felt it may have been a bit wasted at times. With that I don’t mean he wasted my time so much as wasted what could be valuable Q&A time. 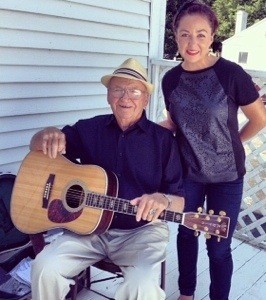 As his devoted fans we know he developed his singing much later than his guitar playing & we also know that he spent insurmountable hours learning & practicing to play guitar. Not that he doesn’t have a gift, because he obviously does, but we know he wasn’t composing at the age of 5. So what was my question for John Mayer, you ask? Well knowing me, I’m sure you can figure out it was nothing too serious & probably a bit brash! However, I’m not going to tell you. I’m going to continue asking the same question each time he does one of these little Dashboard Confessions & see if I ever get answered! They did make it sound like it would be something that happens again, but didn’t give any clue as to how regularly. This is the end of the session. Sweet & friendly he appears genuine. Let’s hope he’s back soon!!!!!! Thanks everyone for participating and reading along. I hope we get to do this again sometime. Hey, you guys remember AOL in 1996, when there were chats, and there was a moderator named Bev and she would play host to the person people were chatting with, and then Bev would say something like “well that’s all the time we have, many thanks to John Mayer for being here and you all for participating”? I remember that. I’ll be Bev in this scenario and thank Tumblr for having me, and you guys for being a part of this. Hope to see you out on the road or inside your computer soon. Lots of love, and happy holidays. One last thing: John Mayer announced today that he’d be switching his Instagram account from mrjcmayer to the previously PR overseen account of johnmayer. He also promises to post more often! I think that little Tumblr session retweaked his internet addiction. That’s just fine with us!!!!!!! Let us know what you thought of the first installment of Dashboard Confessions from John Mayer on Tumblr! 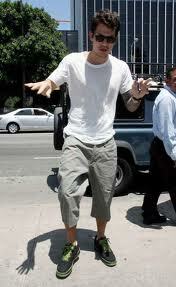 John Mayer photos for your enjoyment! 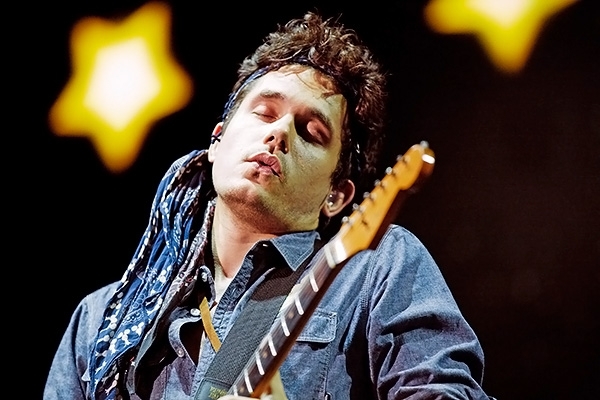 Just some random pics of John Mayer for you to enjoy! All are borrowed & not my own personal photos! You might like these too….. This just makes me chuckle! John Mayer’s myspace welcome message. It was probably even more amusing back in the days when we actually used myspace! I do think it’s making some sort of comeback though. I see a lot of musicians talking about myspace lately. The real question is: Where oh where has this John Mayer disappeared to & will we ever get him back?!?!? Here is John Mayer’s road session #14. It also takes place in Europe. I was so excited to be able to say, “hey, I saw that!” Traveling after all is my #1 hobby! Well I suppose traveling would be my #2, because I have always loved music so very much! Not just John Mayer, I have been obsessed with music since as long as I can remember. My very first memories as a child always revolve around music. My father used to sing me Patches by Dickie Lee. To this day it still brings tears to my eyes! Don’t it make my Brown Eyes Blue from 1977 & Copacabana from 1978 along with the Bobby Vinton my mother used to listen to all the time (hey I come from a polish family!) are the first bits of music I can remember from when I was young. From about 3 years old I have organized my memories by songs that I loved during the particular time period. I know that I should have gotten a job that somehow worked with music, but sadly, that never happened… I have no idea why I’m going on this little ramble. My deepest apologies.